Out Of Bounds Studios is a small game studio led by Alexander Birke. I aim to create games with novel mechanics that bring players into new exciting unexplored worlds. A small indie studio founded by Alexander Birke determined to make games with novel and interesting mechanics and themes. 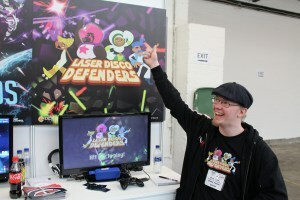 Out Of Bounds Games was founded by Alexander Birke in 2015 after he had spent a couple of years working in the UK games industry after having moved there from his native Denmark. He wanted to have a platform for creating interesting games that offers something new and exciting for players and also help the game industry become a better place to work by offering a good work environment. Based at the Bristol Games Hub, Alexander is one of the organizers of the Bristol Unity Meetup and active in the local development scene. 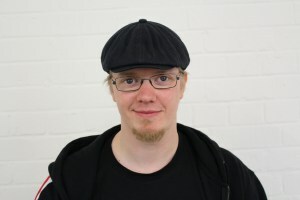 He often give lectures on the Unity game engine and game development at events and conferences. If you are interested in having Alexander as a speaker you can hit him up on Twitter or drop him an email. Alexander also mentors for Women In Games to help create a more equal gender representation in the industry. He is also an eager game jam participant and often participates in the Ludum Dare game jam. Want to stay up to date with what I'm doing?